We will come to your location and give you a professional estimate for your job. 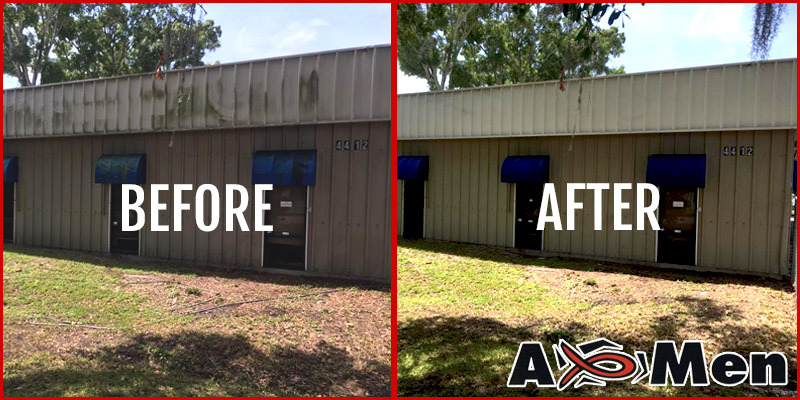 Allow A-Men Pressure Washing the pleasure of bringing your home back to it’s former glory through our professional exterior cleaning methods. Driveways, sidewalks, walkways.. if it’s concrete we can clean it! From small to larger, we have the equipment to wash em’ all. 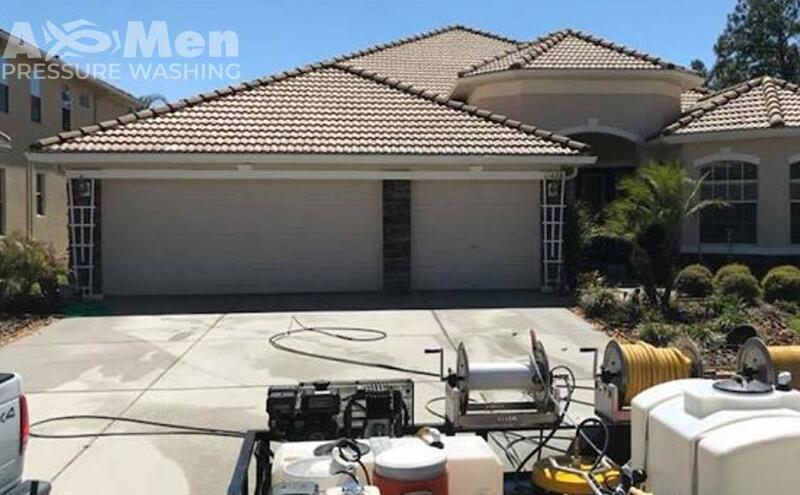 Serving the west coast of Florida including Pinellas County, St. Petersburg, Tampa, Clearwater & the Beaches, A-MEN Pressure Washing is a family owned and operated business. We have a large amount of experience in the industry and after perfecting our methods we have become highly efficient. We arrive and immediately get to work, methodically cleaning in most efficient manner possible in order to minimize our time spent and we pass the savings on to you. Our slogan is “Where Quality Finally Meets Affordability” and we mean every word of it. Right now, for the month of July, if you enter your email to receive free tips and tricks on maintaining your homes beauty, we will give you 5% off your first service with A-Men Pressure Washing. "I have a white barrel tile roof and lots of surrounding plants. The roof looks amazing and every plant lived! I am having them come back to pressure wash the house in preparation for painting. I highly recommend A-MEN Pressure Washing!!." "A-Men Pressure Washing did an incredible job with our pool patio, lanai enclosure, patio furniture, siding and French doors. Joe and his crew are wonderful to work with on scheduling and really good guys. I highly recommend A-Men!" 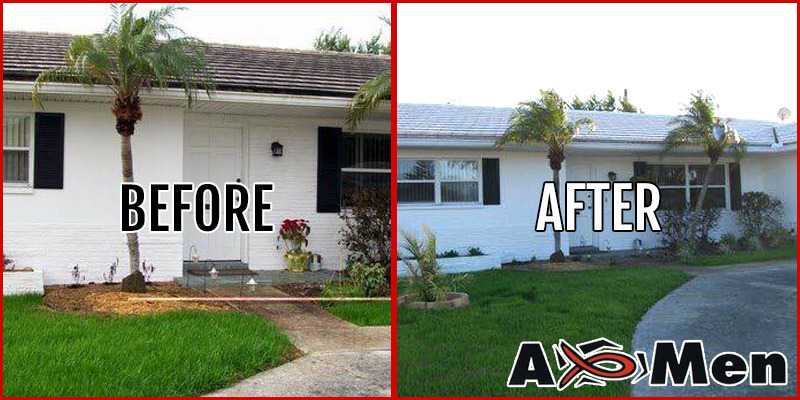 "A-MEN Pressure Washing provided our family with superior customer service and excellent workmanship. They cleaned our lanai pavers and pool cage, making both look brand new. ..so prompt and professional!!! " By utilizing a safe and effective method of low-pressure cleaning we have mastered the best techniques in the industry to help you best protect your investment be it your home’s roof, driveway, siding or any surface in need of a good clean. Mold, spores and fungus are very harmful to your roof and other surfaces they may cling to. Our power washing methods are Eco-friendly and will help save your roofs longevity by removing these harmful organisms without harming your roof, paint or siding. © 2018 A-Men Pressure Washing Inc.